HOW DO I KNOW WHICH TYRE SIZE I AM USING AND WHICH TYRE IS SUITABLE FOR ME? Since variations based on options or vehicle manufacturer changes may determine the Original Equipment tire size on your vehicle, always verify the size you are purchasing matches the tire size for your vehicle (usually found in the door jamb, glove box lid or gas cap door) or in the Owner’s Manual. If you are unsure what size is installed on your vehicle or which tyre is more suitable for you, please confirm the size as listed on the tire side wall or drive down to us for a hassle free advice from our experienced and friendly staff before placing your order. 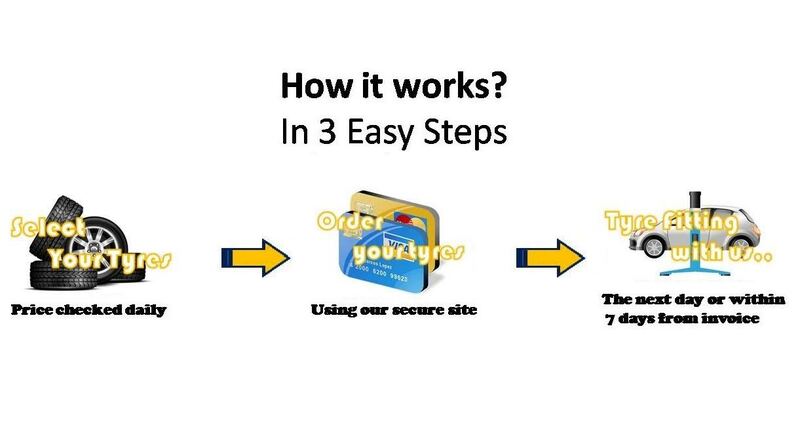 IS IT SAFE TO PURCHASE TYRES ONLINE? All credit card information entered is encrypted and only accessible by the banks. Kim Hoe & Co Pte Ltd does not retain any credit card information from our customers. In addition, consumers will be prompted to enter the CVV Number (Card Verification Value) on the credit card which is a 3 digit number on VISA and MasterCard. Other added security such as one-time password (OTP) are additional layers of security implemented. Yes! Contact us and we can advise on the estimated availability of the tyre. You can also email us at sales@kimhoeco.com and we will get back to you as soon as possible. WHY PURCHASING ONLINE IS CHEAPER THAN BUYING OF IN-STORE? We make orders based on your invoice and immediately send out to supplier, therefore we do not have to keep stock or to do stock take. This will save us on storage rental , manpower and stocks are guaranteed to be fresh. CAN I GET MY TYRES FITTED IMMEDIATELY AFTER I HAVE MADE MY PURCHASE? Depends. Your order is not confirmed and we are unable to do any fitment until the funds have cleared in our account. Some banks can do it immediately whereas other may take up to 8hours. If you need to get your tyres fitted urgently or immediately you can contact us and you will be advised. I HAVE MAKE A ONLINE PURCHASE, WHEN CAN I GET MY TYRES FITTED? You can get to fit your tyres once the funds have cleared in our account. CAN I CHANGE MY ORDERS? Yes, making changes to your order is easy. Simply email us at sales@kimhoeco.com or call us as soon as you can with the details of your current order and the changes you would like to make and we’ll do the rest. There is no charge for incorrect orders however it has to be of equivalent value. Top-up is required for items that are of higher value. No refunds will be given if you choose items with lower value. You have the right to cancel your order within 24hours from date of purchase. Logistics and admin charges of 50$ applies. To exercise your right to cancel, you must inform us of your decision to cancel by phone or e-mail using the contact details set out above. Following cancellation, we will refund you the price paid for the cancelled order (or part of the order cancelled), less any admin or logistic charges . We will pay the refund within 14 days after the day you notified us to cancel your order. We will refund you using the same means of payment as you used to pay for your order. WHERE DO I GET THEM FITTED? You will have a period of 30 days from date of invoice to get your tyres fitted.